Cafe Medina has gained quite a lot of popularity lately for being the cafe-to-be-at. I would've liked to make a trip much earlier but only got around to it recently due to Medina's early closing hours. My friend and I made it just on time for last call on a Sunday afternoon (around 3:15pm) and were led to an interestingly placed back room due to the full house in the front area. We were only staying for a short while so we decided to only order drinks and waffles- a mocha, latte and two liege waffles to be exact. Once again, I went for anything lavender so lavender latte for me and a milk chocolate lavender mocha for my friend. Both were decently rich but I would've liked it more if the lavender was stronger. As for the waffles, I think they were smooth but lacked both the crunchy sweetness and depth of flavour that classic liege waffles have. I think Medina's waffles score well with their sauces though. Each sauce was rich, creamy, very flavourful, and given in generous portions. 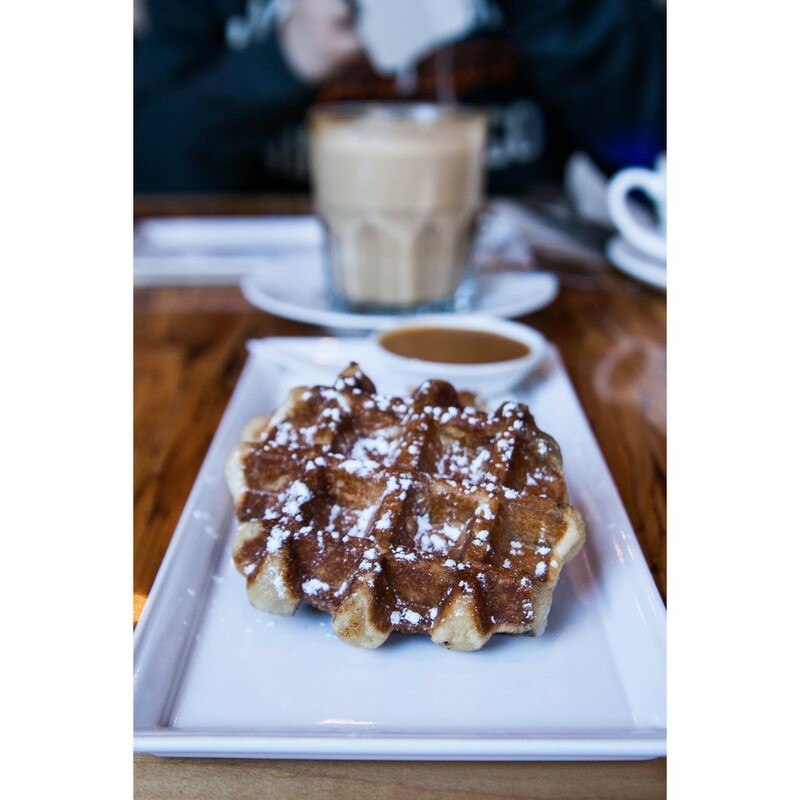 We could basically drown our waffles in the caramel and chocolate sauces if we wanted to. Sorry for the short post but I'll be back to try their brunch menus!